Prime Minister Adel Abdul Mahdi said on Sunday that the stability of Iraq provides an opportunity to increase the efforts of construction and reconstruction. 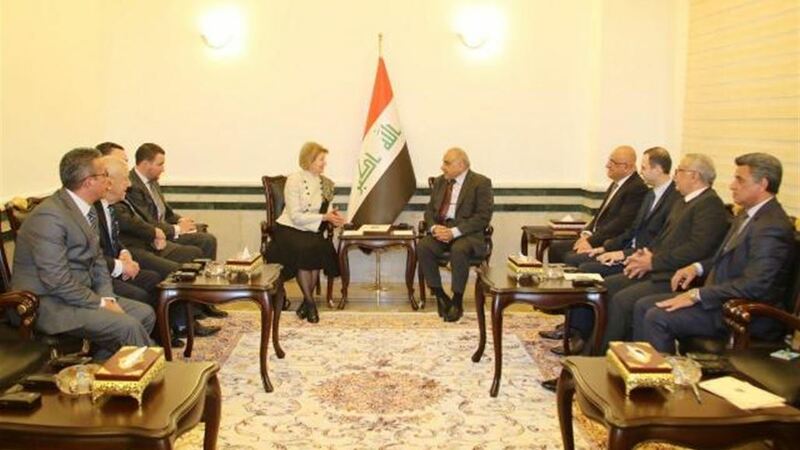 "The Prime Minister received in his official office today, the head of the British-British Business Council Baroness Emma Nicholson, and discussed joint cooperation between Iraqi and British businessmen and companies and investment projects proposed to be established in Iraq". "The stability of Iraq provides an opportunity to increase the efforts of construction and reconstruction," the office quoted Abdul Mahdi as saying. " Baroness Emma Nicholson hailed the developments in Iraq and the desire to expand relations of cooperation and partnership, Reviewed the work of the Council in Iraq and future service and health projects. the Minister of Transport Abdullah Loibi, on Sunday, an invitation to the British companies to invest in the transport sector in Iraq. A Transport Ministry statement received a copy of the Ministry of Transport that 'Transport Minister Abdullah Loibi, chaired an extensive meeting with British Baroness Emma Nicholson and the presence of British Ambassador John Wales, in addition to a number of major international companies specialized to discuss the horizon of cooperation in various fields of transport including Public benefit on both sides'. "The ministry intends to bypass the European urban barrier on Iraqi Airways," the statement said, adding that 'this meeting included an invitation to British companies to invest in Iraq'. He added that 'the ministry is currently seeking to maintain the existing rail network and rehabilitation to be able to meet the requirements of transportation'. "The British government considers this year as a year for ages," he said. "British companies are present and willing to cooperate with Iraq and enter into major investment projects in the field of transport." Britain confirmed on Sunday its companies were ready to cooperate with Iraq and enter major investment projects in the field of transport. "Transport Minister Abdullah Luaibi chaired an extensive meeting with British Baroness Emma Nicholson in the presence of British Ambassador John Wals, as well as a number of major international companies specialized to discuss the horizons of joint cooperation in various fields of transport," the Ministry of Transport said in a statement received by Mawazine News. To the benefit of both sides. " "We intend to bypass the European urban barrier on Iraqi Airways," he said, adding that "big steps are being taken in this direction." He pointed out that "this meeting included an invitation to British companies to invest in Iraq," expressing "his hope to promote the rail sector to be an integrated transport system from northern Iraq to the south." And that "upgrading it needs billions of dollars to make it to the required level," pointing out that "the ministry is currently seeking to maintain the existing rail network and rehabilitation to be able to meet the requirements of transport." "The British government considers this year as a year of business," he said, stressing that "British companies are present and ready to cooperate with Iraq and to enter into major investment projects in the field of transport." 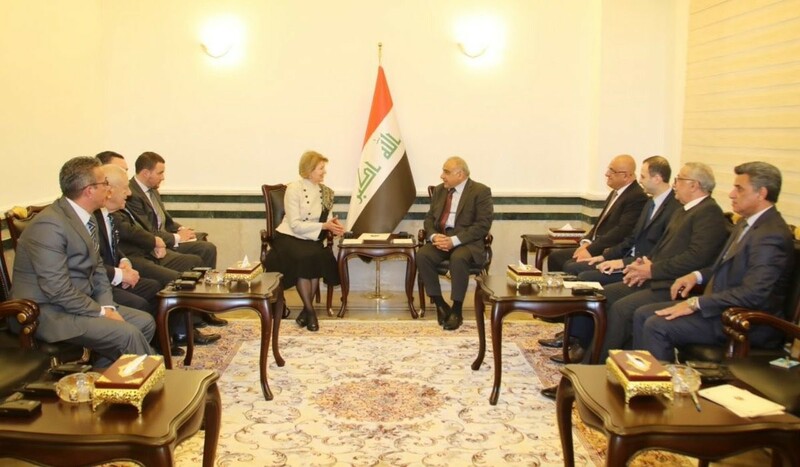 Deputy Prime Minister for Economic Affairs and Finance Minister Fouad Hussein met in Baghdad on Monday , February 11, 2019 Baroness Emma Nicholson and a number of members of the Iraqi - British Business Council. During the meeting, they discussed the mechanisms of developing the working environment in Iraq and enhancing the role of the private sector in all fields in order to take its proper role in the Iraqi economy. The Deputy Prime Minister briefed the ministers on the nature of the Iraqi-British Business Council in Baghdad and the obstacles and problems facing their work. Mr. Fouad Hussein pointed to the need to overcome all the difficulties and obstacles that face companies and investors and fight bureaucracy because it is a face of corruption. He pointed out that the private sector plays an important role in the development and revitalization of the economy and should take its role fully in the process of construction, reconstruction and revitalization of the economy. 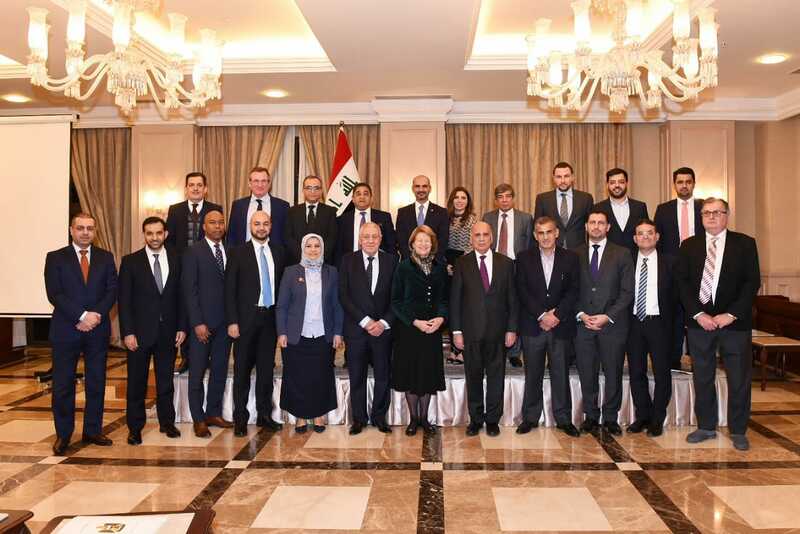 The Iraq Britain Business Council (IBBC) visited numerous Iraqi government ministers and officials during a highly successful trade mission to Baghdad on 9-12 February 2019. The delegation was the largest ever led to the Republic of Iraq by the IBBC and included meetings with the Prime Minister, H.E. Dr Adil Abdul-Mahdi and Deputy Prime Minister and Finance Minister H.E. Dr Fuad Hussein. The delegation was supported by Her Majesty’s Ambassador to Iraq Jon Wilks CMG and the UK’s Department of International Trade. A reception was held for members and guests at the British Embassy in Baghdad courtesy of the Ambassador on Sunday 10 February. Prime Minister Adel Abdul Mahdi and Chief Executive Officer of the British Petroleum Company, Bob Dadley, discussed Wednesday the stages and plans for developing current and future projects in Iraq. The press office of the Prime Minister, in a statement, received by "Al-Ghad Press", that "Abdul-Mahdi, received at his official office today, Chief Executive Officer of the British Petroleum Group (BP), Mr. Bob Dudley, who expressed the company's desire to work in Iraq and impressed with plans to establish The meeting was attended by Deputy Prime Minister for Energy Affairs and Minister of Oil Thamer Al-Ghadhban and discussed the phases and plans of developing the current and future projects carried out by the company in Iraq. " He welcomed Abdul Mahdi, according to the statement, "the desire of the British oil company to invest in the development of oil fields in Iraq, and ongoing discussions with the Ministry of Oil, to enhance cooperation by helping them to develop oil wealth and revitalize the Iraqi economy."